Just imagine breathing in the scent of roasting meat whilst enjoying some stunning views of the Welsh countryside. For a location such as Beaumaris, a hog roast event is perfect. 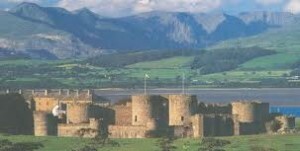 Once a Viking settlement, Beaumaris has many noteworthy buildings, including the 14th century St Mary’s Church and Beaumaris Castle, which dates back to the 1200s. Rumour has it that the castle is haunted – visitors have claimed to have recorded strange chanting in the castle’s chapel tower. However, the ghostly goings on have not effected visitor numbers, as the castle is one of the town’s most popular attractions. Beaumaris provides a stunning backdrop for any occasion. 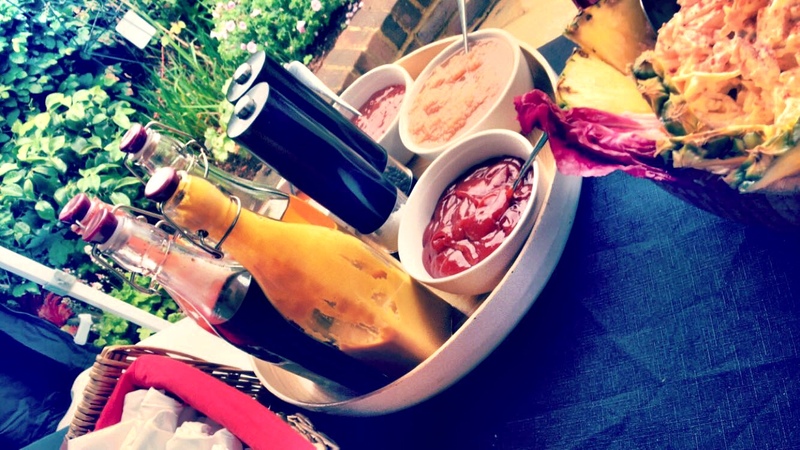 Combine that with a hog roast and you can create the ultimate event for you and your guests. Your hog roast Beaumaris event can be organised in a way that will enable you to truly relax with your guests. You and your guests can sit back and be spoilt by only the best hog roast caterers. There’s something special about a hog roast, not only because it offers delicious food but also because it is a great way to get your guests to mingle. A hog roast serves as the perfect ice breaker at business functions or reunion events. We recently catered for an event in Beaumaris for 200 guests in which our spit roasted lamb took centre stage with guests able to choose from a selection of salads and some new potatoes in herb butter; all accompanied by mint and a mustard & dill Sauce. Guests were greeted by drinks on arrival; generously poured by our staff. The lamb itself took a few hours to cook which gave us plenty of time to prepare all the accompaniments from scratch and readied them for the serve time. As we carved the lamb, we could here distant chatter from the guests as they looked on in anticipation. I think it’s safe to say that the guests were highly satisfied by the quality of our catering and it made the night a huge success. A hog roasting service is ideal for one-off events such as a wedding or christening. However, if you cannot get enough of the aromatic smells and taste of roasted meat, then you can hire a spit roast machine and host your own events. Hog roast hire Beaumaris is a great way to give your guests a fulfilling feast in a town that is packed with sights that are of historical and cultural interest. Hiring a hog roast machine means that you do not need to worry about not having enough entertainment for your event, as the sight and sound of the meat roasting is enough to keep your guests talking. A hog roast offers food and entertainment all rolled into one. A hog roast compliments any type of event. Hot roasted pork is a traditional treat that is sure to go down well at any party or special occasion. Beaumaris Castle is a popular backdrop for weddings and its ghostly sightings also make it the perfect location for a Halloween event. It truly is a spooky location and you can delve into the castle’s history whilst enjoying some hot roasted meat and a selection of other traditional goodies. You can still enjoy a hog roast Beaumaris event even if you are a vegetarian, as there are menus available to suit all tastes. If you are looking for something that offers great value for money, then hiring a machine is ideal. Hog roast hire machines are now not only easy to operate but also to move around, so you can organise Hog roast hire Beaumaris events in a number of locations. You do not need to have lots of experience in hog roasting in order to arrange a stress-free, memorable event for your guests. Hiring or a buying a machine is a particularly good option for those who hold regular barbecues, as the machines are available with attachments and functions that enable you to easily slip your plates onto them and quickly cook up a selection of meat treats for your guests. Hiring a hog roast machine is not only about giving your guests a great time but also about being provided with a machine that is reliable, particularly if you are a company that wishes to provide your customers with great service. A stainless steel hog roast machine is the perfect option for caterers or businesses wishing to hold regular hog roast events, as it is not only easy to clean but is also longer-lasting. If you are already a hog roast connoisseur, then selecting this type of catering for your event is a great way to get your guests interested too. Many people are already a fan of the traditional hog roast or turkey dinner, which is why it is such a popular choice for events, but if you happen have any guests that have not yet experienced the smell and taste of spit roasted meat with all the trimmings that you can give them a real treat. They will become instant fans and will be asking you when your next hog roast party or buffet will be. There is no doubt that a hog roast creates a spectacle and when combined with the backdrops of Beaumaris, is sure to create an event that will provide some interesting photographs and fond memories.